- Lone and Remote Worker (Personal Security). Thousands of people every year suffer from various injuries at work which could have been easily minimised if a lot more people had known the basic principles of Basic First Aid. This is not to replace any formal practical training, but provides an excellent guide to refreshing your knowledge and updating your skills as a first aider. This course is not to train you to become a doctor, or a paramedic; they are the professionals that you want to take over from you in the earliest possible moment. First aider’s hold proficient skills to make a worthwhile contribution towards someone’s safety, and recovery. Quick and confident decision making will enable you to summon the emergency service in the correct manner. 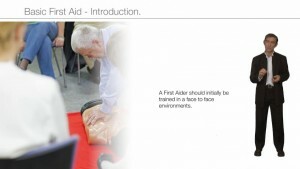 The Basic First Aid course comes in a main and refresher format.